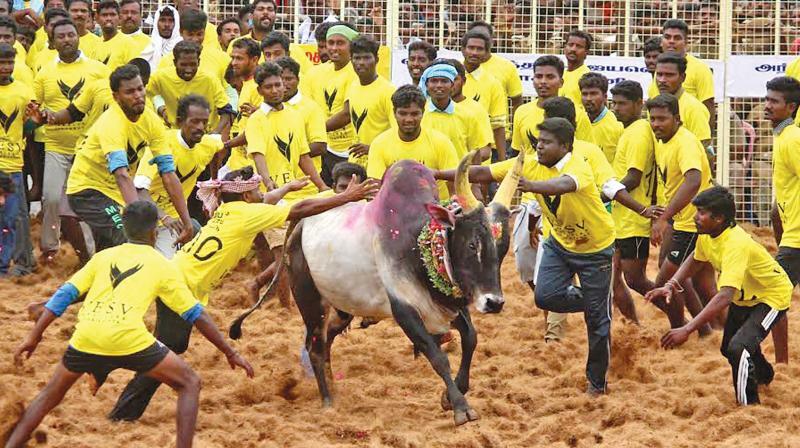 New Delhi, Jan 21: Two persons were killed and over 30 men were injured at the bull-taming festival Jallikattu in Tamil Nadu’s Pudukottai district on Sunday. The event was coordinated by Tamil Nadu Health Minister C Vijayabaskar. The bull-taming festival entered the world record for the maximum number of bulls released into the sporting arena. The event saw the participation of 424 tamers and 1,354 bulls – almost double than the previous record. “This tragedy happened beyond the collection point, where owners take the bulls back after they have completed in the barricaded arena,” a senior police officer told NDTV. Tamil Nadu Chief Minister Edappadi K Palaniswami hailed ‘Jallikattu’ as a symbol of the valour and courage of the Tamil people.